We are suppliers to the trade of solar energy products. 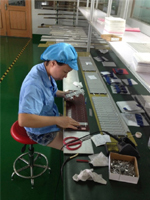 Of British design and direct from our factory in China we offer the latest innovations in solar technology at low cost. With UK energy prices ever increasing, our aim is bring affordable solar energy solutions to the masses. Our stackable, plug & play G83 inverters coupled with our ultra thin 3mm solar panels means nearly every household could benefit from solar power. Many homes won't qualify for a Feed-In-Tariff scheme as they aren't south facing or their home is a poor EPC rating. Our systems can be installed on garages, outbuildings, conservatory rooves, on the ground or even on walls. Practically anywhere with space for a solar panel and a mains socket. Due to the stackable nature of our inverters, systems can be built up in stages so even homes with very restricted budgets can get their foot on the ladder and start saving with solar. From an installer's perspective this increases the potential market considerably and provides great scope for system up-sizing and potential maintenance contracts. We'd love speak to you about your requirements and answer any questions so why not give us a call now or use our convenient contact form. Incontrol Energy are the recently appointed exclusive UK agents for a range of solar energy products and energy saving devices. As we represent the manufacturer directly, the short supply chain means we can offer the most competitive prices and receive stock straight from the factory within 30 to 60 days. 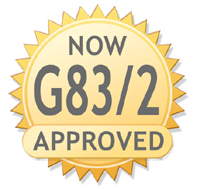 From March 2014, all solar inverters connected to the UK mains supply must be G83/2 approved. We're proud our inverters have been one of the first to receive this accreditation.